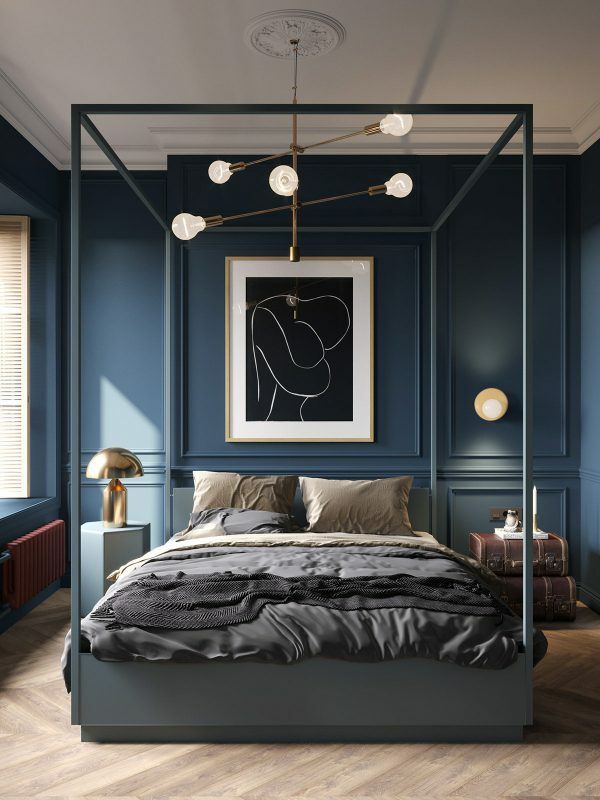 Posted on February 22, 2019 by William A.
Saint-Petersburg’s historical center, Russian Federation, is the location of this deliciously moody apartment interior, created by Cartelle Design. 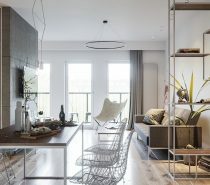 Measuring less than 75 square metres, the small open plan home was overhauled for a young couple. 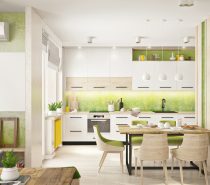 It includes a compact living space that forms a full U-shape around a shower room module; one double bedroom with a walk-in closet; one single bedroom with a home office area; and one compact cloakroom. 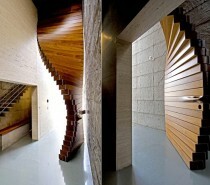 There is also a main hallway leading from the home entry door that holds a good run of extra storage closets. 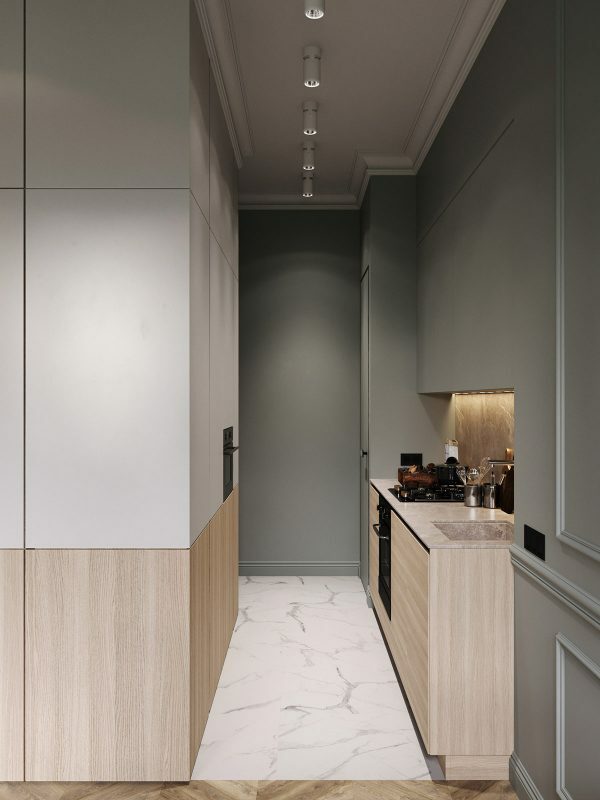 The youthful homeowners picked out a sophisticated palette of sage green, smooth grey, and deep blue paintwork to colour stylish wainscot panels and trims. 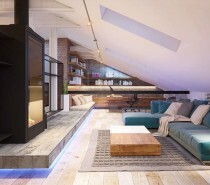 Many lighting options have been packed into the small living space. 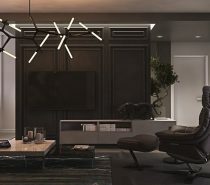 Track lighting spans the width of the ceiling, dining pendants hang low over the table and a modern chandelier showcases in the lounge. 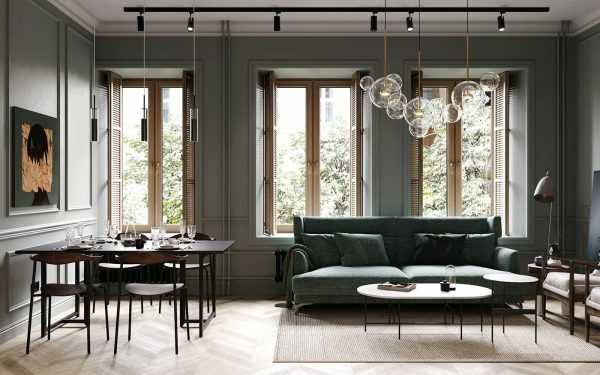 A sage green sofa with coordinated woollen throw brings soft muted colour to the grey decor scheme. A couple of light accent chairs and a white marble coffee table lift the look. 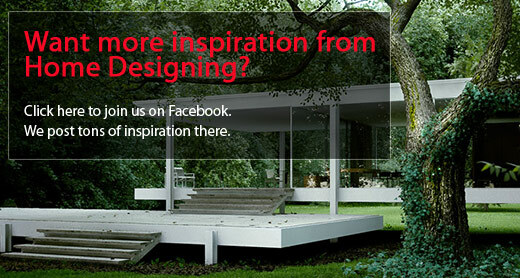 A piece of modern art is propped behind the lounge seating area, along with a wooden side table and a small floor lamp, which is the Grasshopper model. The nesting coffee tables stand upon a natural rug that softly blends with the tone of the wood flooring, rather than jarringly contrasting against it. 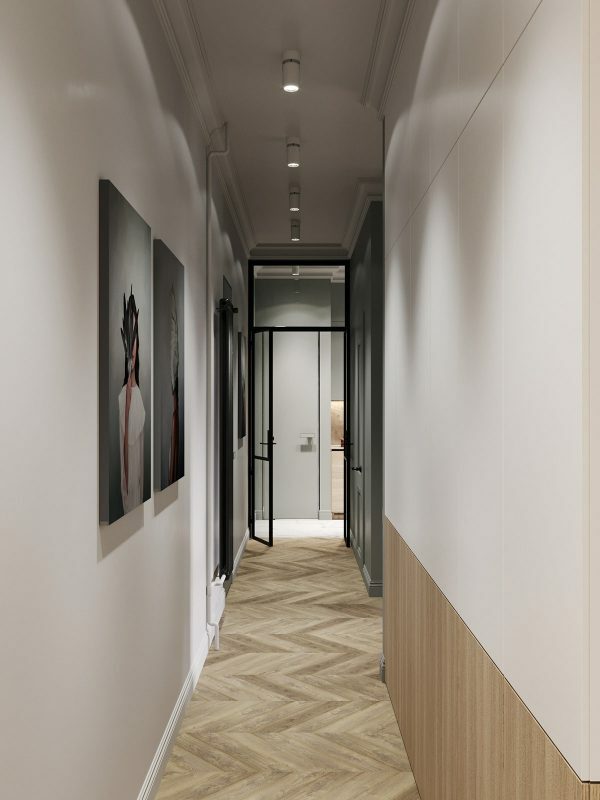 The fresh tv wall decor is made up with modern wood and white wall panels that wrap around a central volume, which is actually the shower room. A tower of bookshelves have been recessed beside the television, whilst an oven is built into it around the corner in the kitchen run. More artwork decorates the dining space, which leads into the kitchen. 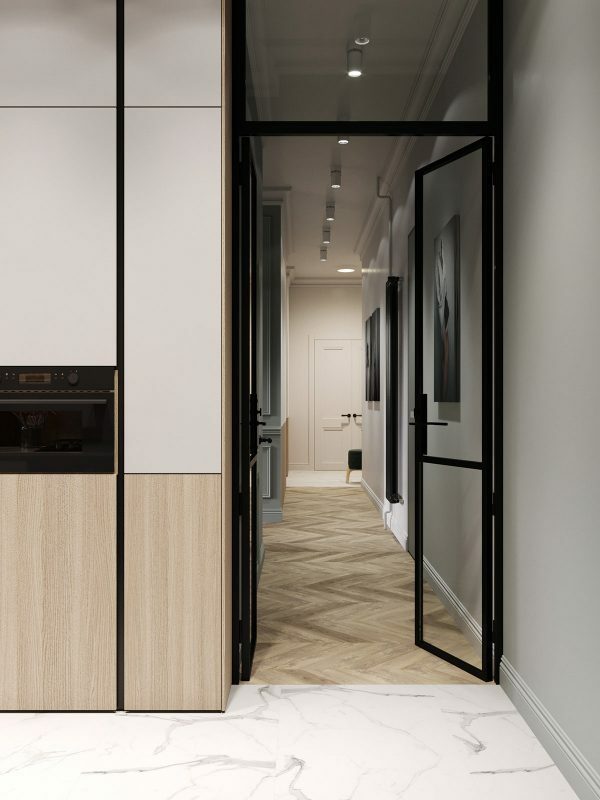 The other ‘arm’ of the U-shaped room exits back into the hallway via double doors. The closed door seen on the left is the entrance to the master bedroom. The glass double doors allow natural light to come through from the living room windows into the hallway even when closed. 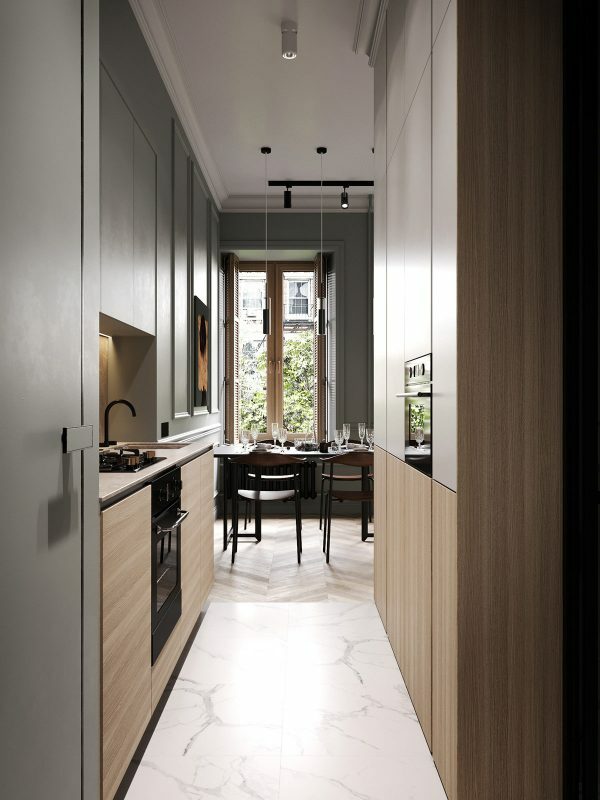 Glazed doors on the other side of the U-shaped living space provides entry directly into the galley kitchen. 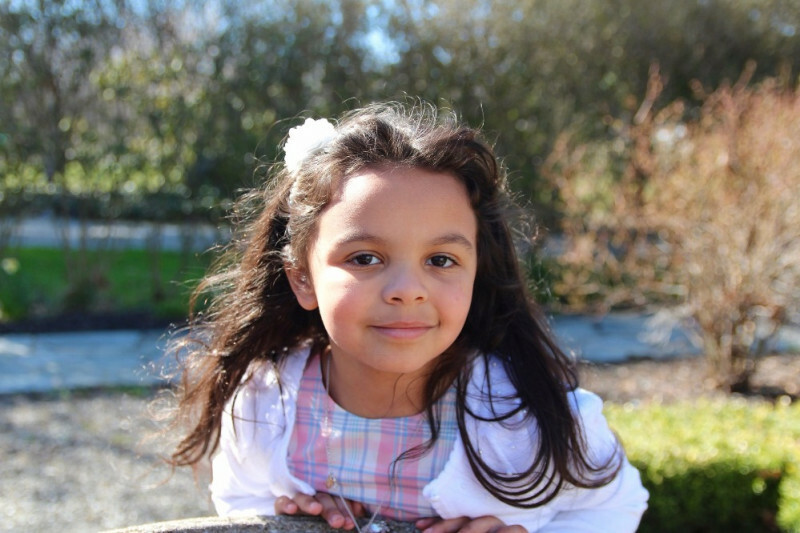 There is no entry to the bathroom in the living area – the facilities are accessed from the main hallway. 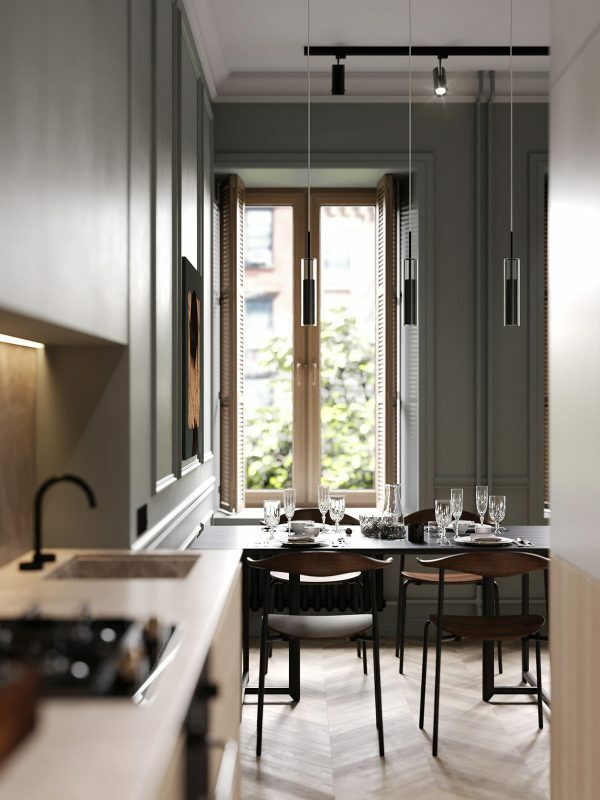 A black table has been teamed with wooden dining chairs in the formal eating area. The wood chairs have a dark stain and a subtly curvaceous form – both of which is complemented by the wall art above the table. 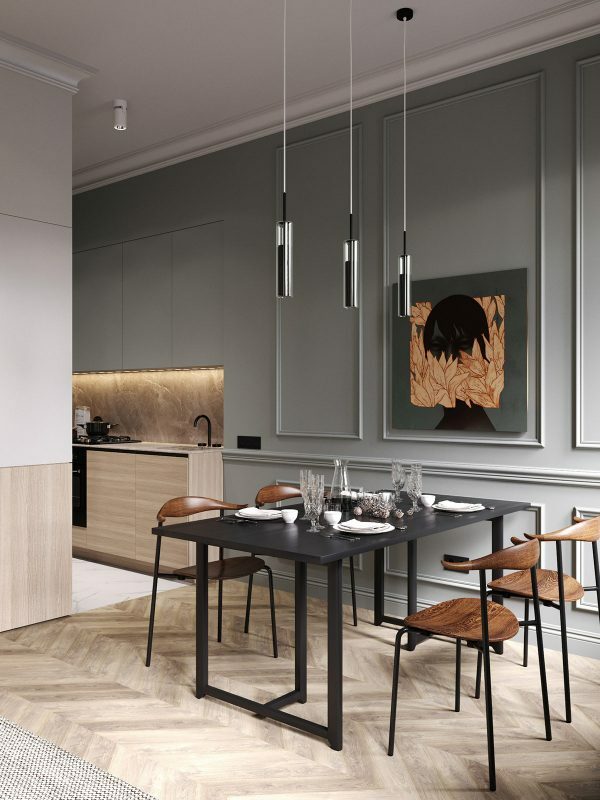 The dining room pendant lights are a slender tubular design, hung in a linear trio. 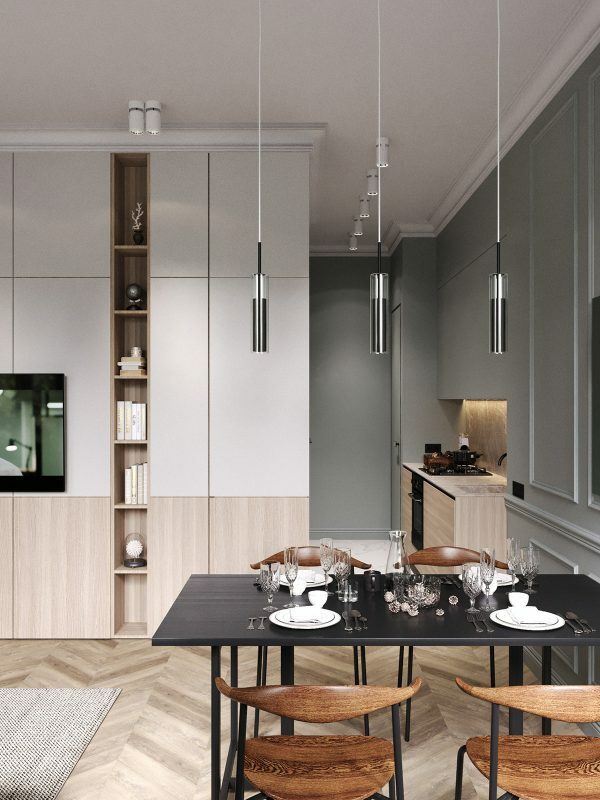 The adjoined kitchen is equipped with base cabinets that match the same light wood tone of the tv wall decor panels, whilst grey wall cabinets blend with the surrounding decor. The grey door at the end of the run leads into a compact utility zone. 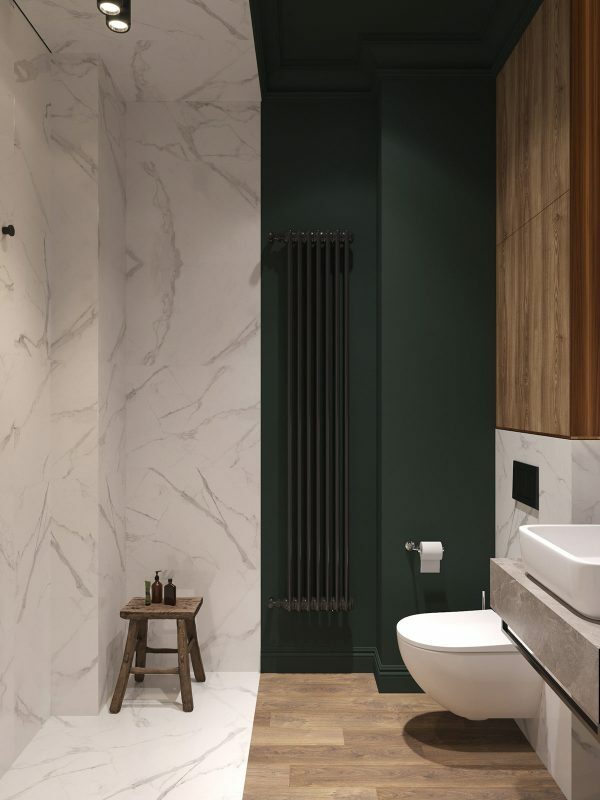 The opposite side of the small kitchen is completely camouflaged as part of the external wall of the shower room, except for the integrated oven that gives the game away. This helps the compact space not to appear too overwhelmed. Natural light comes through to the galley kitchen via the dining area, though under-cabinet lighting is needed to brighten the prep bench. Black appliances and a black faucet punctuate the kitchen. The main hallway is like a very narrow little art gallery. From here we can see the door ahead leads into the kitchen and utility, The closed door beside that on the right is the entry to the shower room and the one closest to us is the way to the lounge side of the living area, and to the master bedroom. 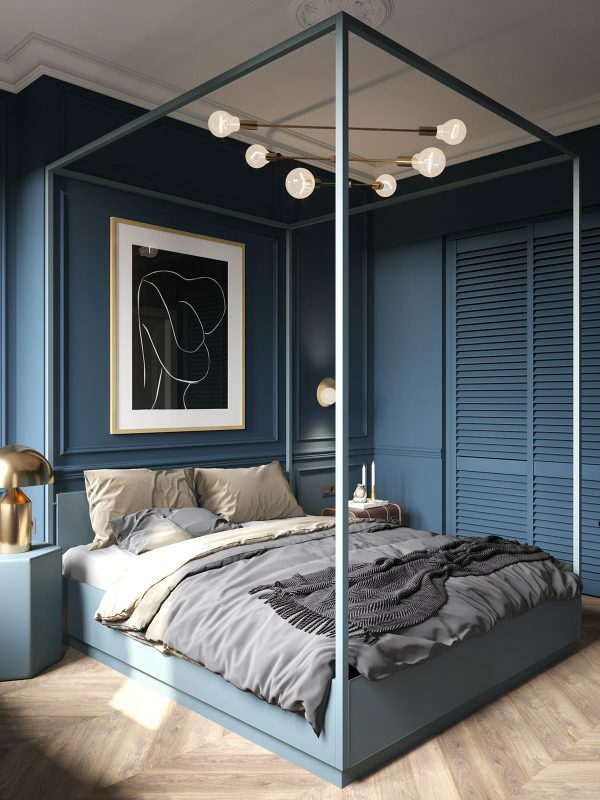 There is an all enveloping blue bedroom scheme in the master – the walls, the closet doors, the bed and bedside are all covered top to toe in a blue hue. 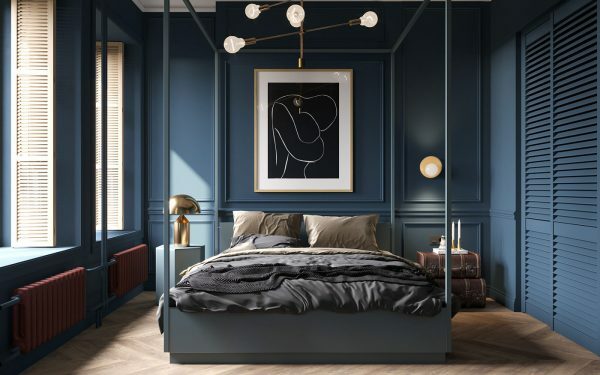 Golden trims shine through the blue, in the shape of a bedside lamp, a sputnik chandelier, a wall sconce, candle holders, and gold framed art. The bedside lamp is the Atollo lamp. Cheaper replicas are available on Ebay. A set of two stacked decorative suitcases make a bedside table and provide valuable storage space. Grey and beige bedclothes make a layered effect. 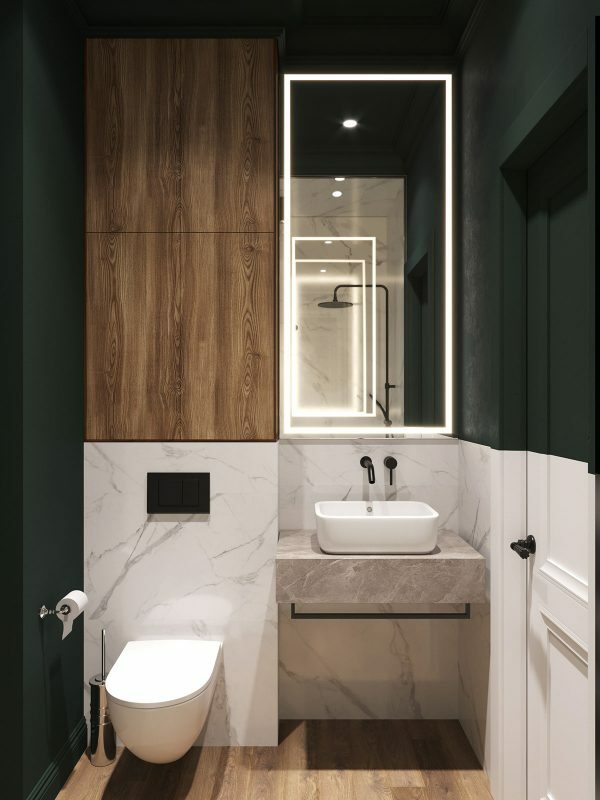 An illuminated vanity mirror glows brightly in the bottle green shower room. A rounded edge rectangular vessel basin sits atop a stone vanity shelf with an undermount towel rail. 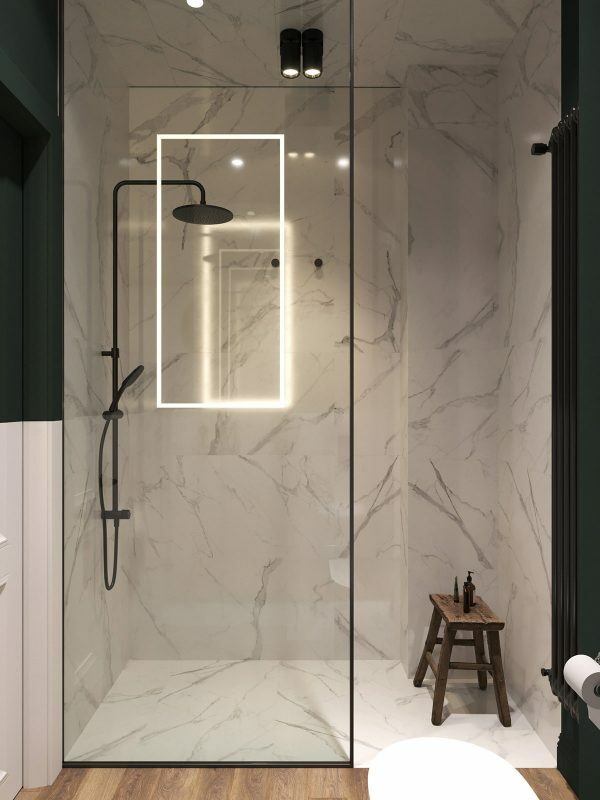 Sections of white marble around the lower half of the green room, and a marble wet wall behind the shower, lighten the decor and add a luxe look. A rustic wooden stool provides a simple shelf for toiletries in the shower, which can be moved closer to suit. Even the door has been cut through with a half green and half white paint job so that it flows with the wall decor; this helps the space look larger. 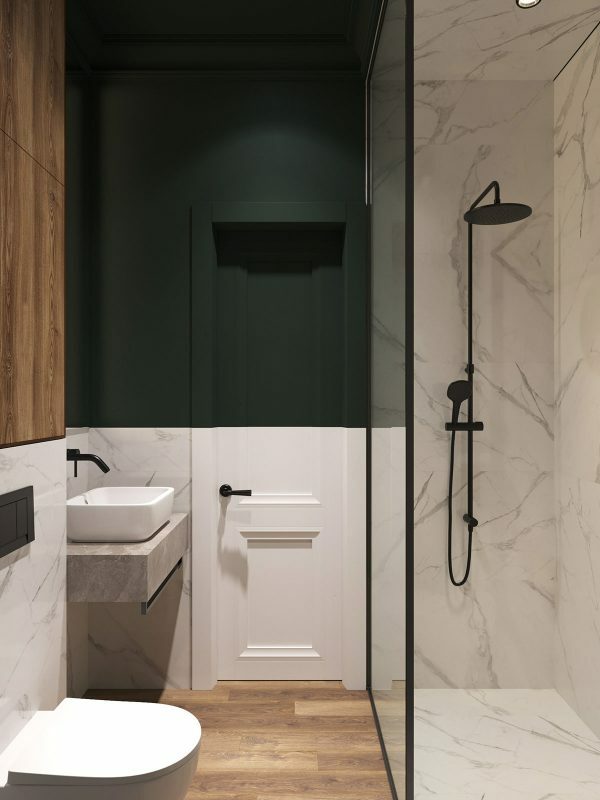 The illuminated vanity mirror reflects in the glass shower enclosure, which is trimmed in black to match a black shower unit, radiator and surface mount spotlights. 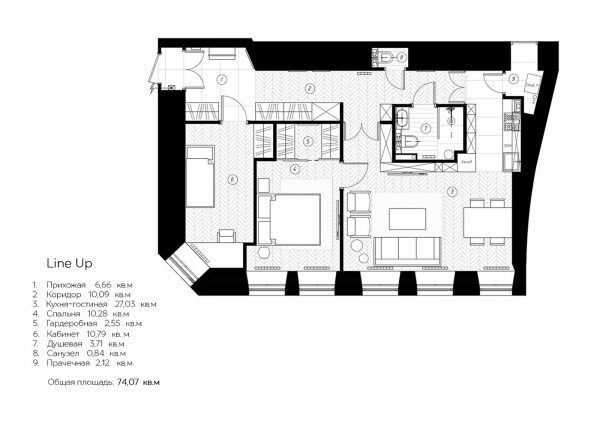 Floor layout plan. This shows us the location of the second, single bedroom, which is accessed via a door by the home entryway. We can also see the built-in bedroom closets, and the extra storage cupboards that line one side of the main hallway. Next Post How To Increase Intimacy In Marriage and The Ultimate Intimacy App!